Anyone who follows my Blog or Facebook pages will know I have a real affinity with the original Mitchell Mag Pro (Extreme) spinning reels – I own two in the 500 size and they have never let me down despite continual use in some pretty harsh conditions. The only negative thing I can say about them as they are now discontinued however, the replacement model, the RZT is now available – and has been for some time apparently. I have been so happy with my reels that I haven’t felt the need or requirement to purchase anything else; but I do keep a very close eye on what other anglers use, and their opinions and suggestions. Actual use through some harsh winter/early spring conditions. Use of the reel in conjunction with/alongside my Mitchell Mag Pro Extreme 500s. Experience and previous use of Cormoran, Okuma, ABU and Shimano reels and current use of a Daiwa Exceller alongside my Mitchell reels. It’s not quite as good looking as the previous model however, two things immediately stand-out once you start to physically handle the reel. The drag system feels a lot more advanced, the handle is larger and gives the reel a more ‘exclusive’ feel. Moreover, my Extreme 500 weighs in at an astonishingly low 179g therefore, I was expecting this larger reel to feel considerably heavier – but, I was very happy to discover the RZT 2000 to feel light, but with a definite air of quality about it. Something else that I love about these high end Mitchell spinning reels is the very mechanical, yet sophisticated ‘screw in’ reel handle. It’s probably just me, but once you reach the stage where the spindle is wound in far enough to engage with the inner gearing, the silky smooth rotation puts a grin on my face – you want to go lure fishing with it immediately. With a bit of backing (6lb mono) attached, followed by a whole 200m spool of Varivas Super 8PE, the initial problem of having more line at the top of the spool was easily remedied (by adding one of the washers provided) and soon enough perfect line lay was established and we were in business. I’ve used the RZT on three separate lure rods – my Major Craft Skyroad, Slash Lamya Thief and Daiwa Arity (which is slightly shorter than the previous two) and found that it balances extremely well on all of them. To be fair, you would expect this considering it only weights 213g but what I’m saying is that it doesn’t feel cumbersome or too heavy for the rod(s). From a cast and retrieve perspective, the bail arm + line roller mechanism feels very robust, the braid peels off the spool very well indeed and importantly; the line lay is what you’d expect it to be – excellent. Onto that chunkier feeling (thaN the previous model) drag system – the best thing is that it’s ‘louder’ as in it’ll ‘scream like a banshee’ when called upon to do so; something that again, will no doubt put a smile on my face, and that of anyone else considering buying this fantastic lure ‘spinning’ reel. NOTE: I haven’t actually used the Daiwa Caldia but have used the Shimano Sustain (for a short period admittedly). In the table below, I am comparing the RZT to the these reels in terms of statistics. I believe I’d need to use all three of these reels continually over a say, a few months, in order to be fully qualified to say ‘I believe this reel is better than that one’. So you require a reliable reel that is capable of withstanding the occasional dunk or knock. 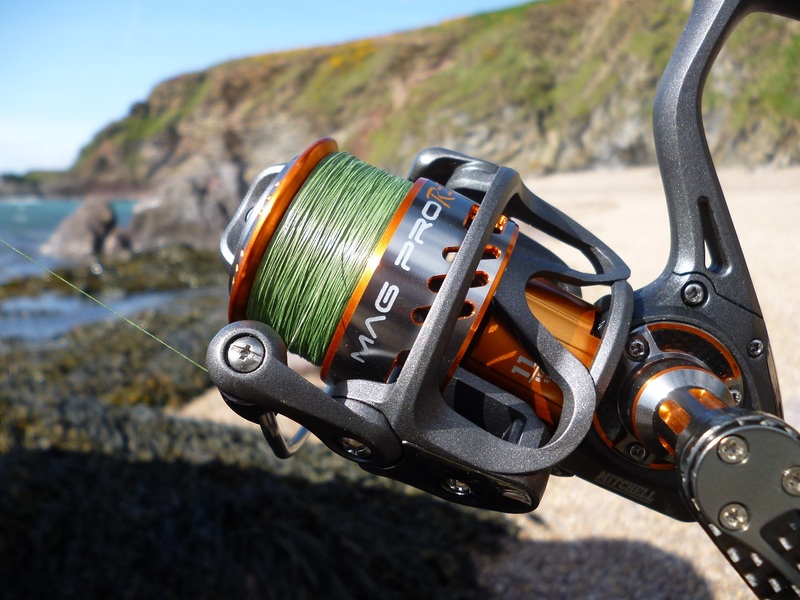 For your money, you expect perfect line lay, a precision drag system, a smooth retrieve and trouble free usage – things that should be ‘a given’ for any modern reel costing in and around the £50 – £100 bracket, let alone the £200+ mark. If you’ve been let down in the past, fancy a change, aren’t wanting to spend over a certain amount, or importantly; new to this area of the sport and possibly confused with the sheer level choice on offer – then I really don’t think you’ll go far wrong with a Mitchell Mag Pro RZT. I welcome any feedback or comments. Very kind and you’re welcome – they are very nice reels. Great article as always, I just wanted your advice as I am going to upgrade my spinning reel( at the moment I just have a cheap lineaffe model) , I have a savage gear salt CCS rated for 7- 28 grams and wanted to know how the Mitchell mag pro RTZ would balance up on my current rod as I think you have said that you use the savage gear salt CCS with your clients? As I will be buying on line so will not have the option of physically being able to handle the rod and reel together so to speak , would you suggest the 2000 model would fit best and balance up well with the CCS rod? 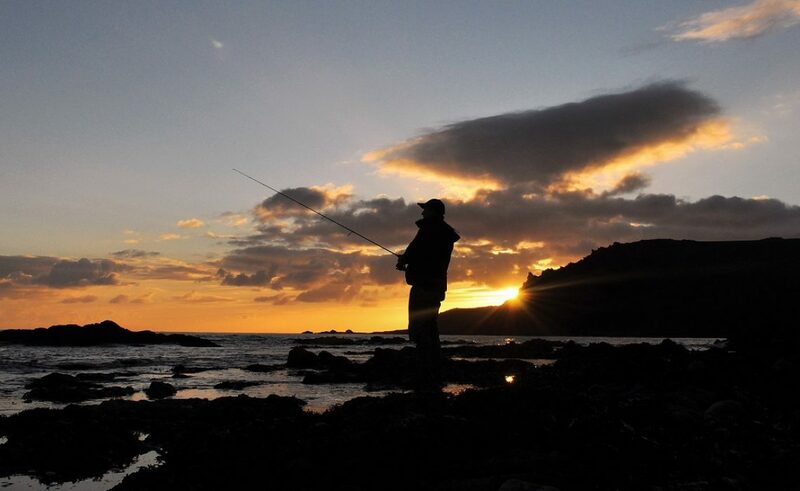 My wife and I are planning on relocation to Devon/Cornwall this year so will be keen to have a guided session with your self as I am a Bass/lure angling newbie , looking forward to chasing Bass and learning more about this fascinating species! Thank you for the kind comment. The 2000 size will match and balance perfectly with the 7-28g SG Salt CCS – my clients have loved using this set up. Good luck with the move (you won’t regret it!) and hope to see/guide you at some point in the future. Great blog and good review of the Mitchell. Just one query, do you think the 2000 size is big enough to be an all rounder or just for throwing lighter lures? Hi John, Thank you for the comments. I would say 100% that the 2000 size would work as an all-round lure reel yes.